Ciaran Crowther won his first individual track title at the Leinster junior championships in Le Cheile , last night. 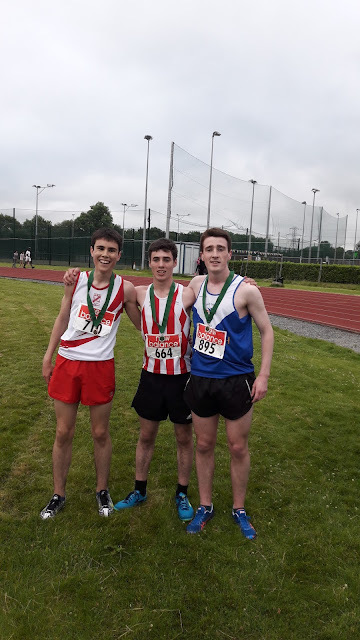 After a tactical opening 1k in the junior 3k, Ciaran and John Halton (Trim a/c) gradually pulled away from the rest of the field. Ciaran then kicked away with approximately 300m remaining to win comfortably in 9 min 46 sec. Not content with his efforts in the 3k, and with only 20 mins to recover, Ciaran returned to take bronze in the 1500m.